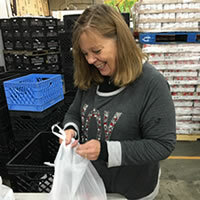 Ending hunger in our community is no easy task, but YOU make the difference for our customers every day. Your financial support, volunteer hours, and food donations all give our neighbors in need hope for a better tomorrow. Thank YOU for helping others and making the world a better place.